Trump tweeted that Democrat Danny O'Connor was "controlled" by House Minority Leader Nancy Pelosi. As polls opened in Ohio on Tuesday, President Donald Trump delivered a salvo against the Democratic candidate in the state's closely watched special election in the 12th Congressional District, Danny O'Connor, accusing him of being "controlled" by House Minority Leader Nancy Pelosi — a frequent target of Republicans and a figure even Democrats have run from. Trump’s post was less notable for his endorsement of Balderson, a Republican state representative — the president had already endorsed him and even campaigned for him over the weekend in Ohio — and more significant for his derision of Pelosi, a Democrat from California, signaling that vulnerable Republicans will continue to use her to try to diminish their opponents as the nation heads into the midterms. 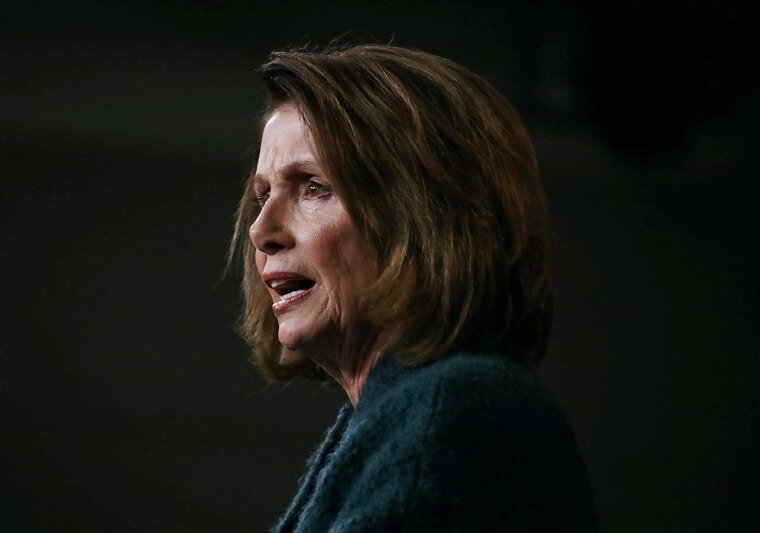 Amid a robust Republican attack effort and citing a need for a change in leadership, an increasing number of Democratic congressional candidates have bailed on Pelosi in recent months as they try to inoculate themselves against Republican attacks. Republicans' goal in singling out Pelosi has been to mobilize the GOP base as well as to try to convince swing voters that the Democratic candidate in any given race — no matter how much they profess independence — will ultimately empower the San Francisco liberal who leads her party in the House. O'Connor, asked Tuesday morning about Trump's campaign appearance and tweeting, said he wasn't focused on the president. "We are not focused on people coming in from Washington, D.C., for a couple hours, folks who aren’t invested in our community," he told NBC News. "We’re focused on our community first." Ohio's 12th Congressional District tilts to the right — the GOP has held the seat for 35 years and Trump won the district by 11 percentage points in the 2016 presidential — but Republicans face overwhelming Democratic enthusiasm there. O'Connor, the Franklin County recorder, however, has stumbled in trying to separate himself from Pelosi, who is unpopular in the district and has been featured in GOP attack ads. He initially said he would not vote for Pelosi to be his party's leader if he is elected to the next Congress, but when MSNBC host Chris Matthews pressed him in an interview on the subject, O'Connor eventually said he would vote for Pelosi if she were the only option available to giving Democrats the House speakership — prompting Republicans to pounce.